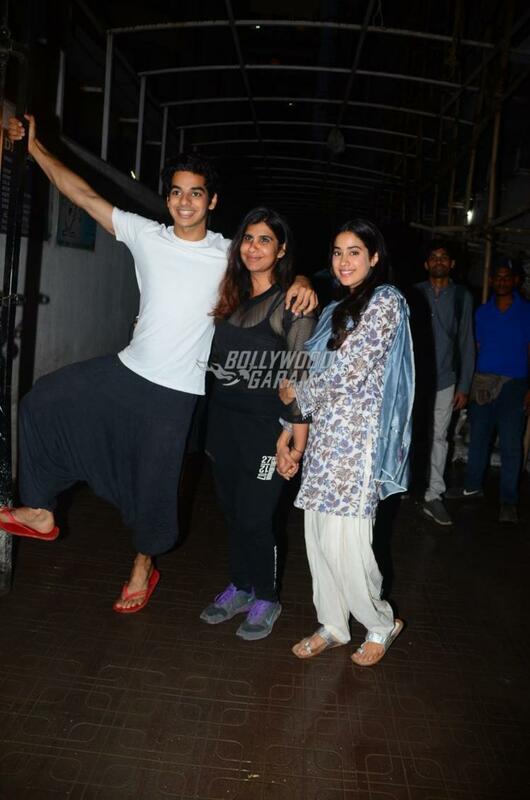 Janhvi and Ishaan Khatter are all set to be seen in the much awaited film Dhadak, which is the remake of the Marathi blockbuster flick Sairat. 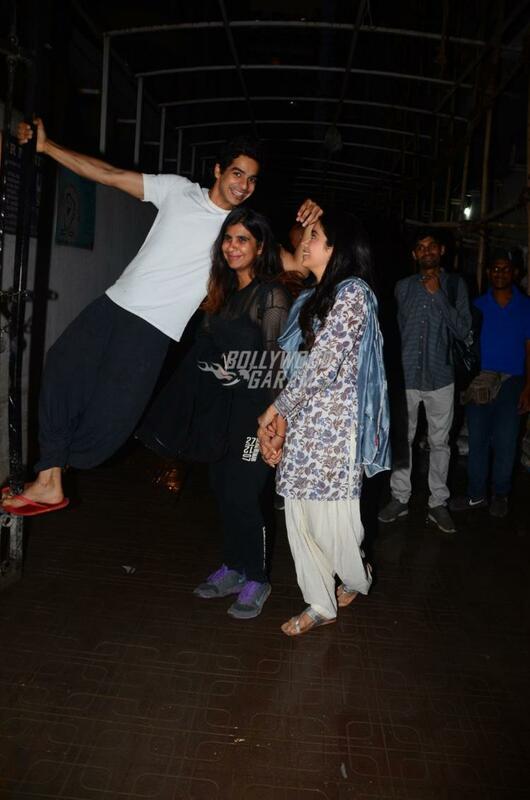 While the shooting has almost come to an end, Janhvi and Ishaan were snapped on the sets post wrap in Mumbai on April 20, 2018. Ishaan was at his jovial best while his antics left Janhvi Kapoor in splits. Late actress Sridevi’s daughter Janhvi was seen in a printed kurta and salwar with a blue dupatta while Ishaan was seen in a casual t-shirt and black track pants. 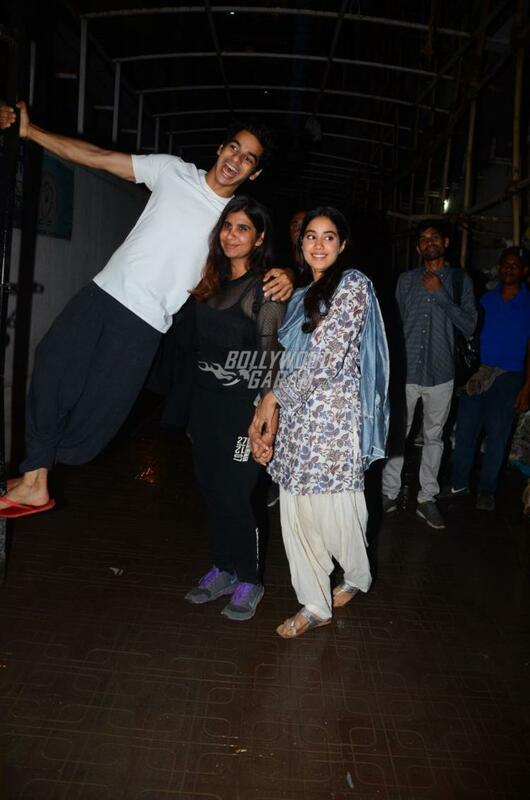 The young actors were all smiles as they were snapped by the paparazzi . On the other hand Ishaan’s debut film Beyond The Clouds has hit the theatres on April 20, 2018. The film is directed by Iranian filmmaker Majid Majidi and also stars Malavika Mohanan. 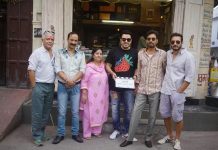 Dhadak is directed by Shashank Khatian and will be released in theatres on July 20, 2018.